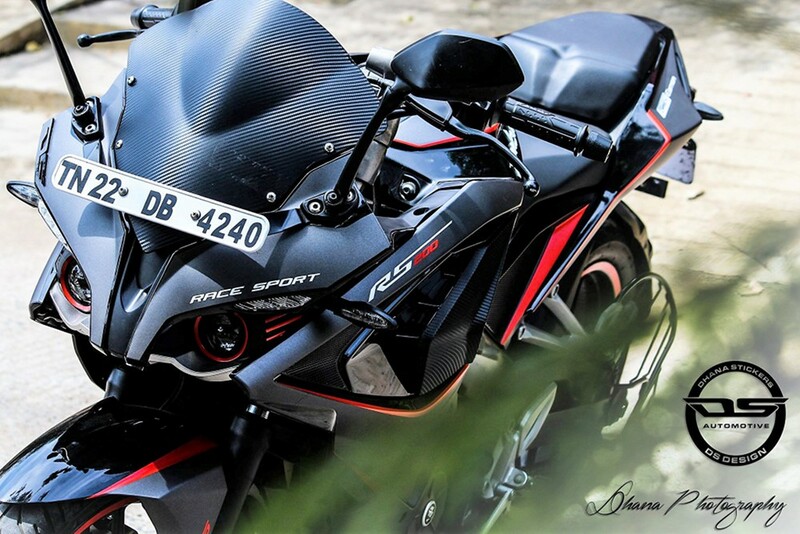 Pulsar RS200 Matte Grey Edition by DS Design: Bajaj Pulsar RS200 remains the flagship Pulsar motorcycle in the company lineup. The launch of Dominar 400 as a separate brand helped the Pulsar stay at the very top of performance friendly Pulsar machines. 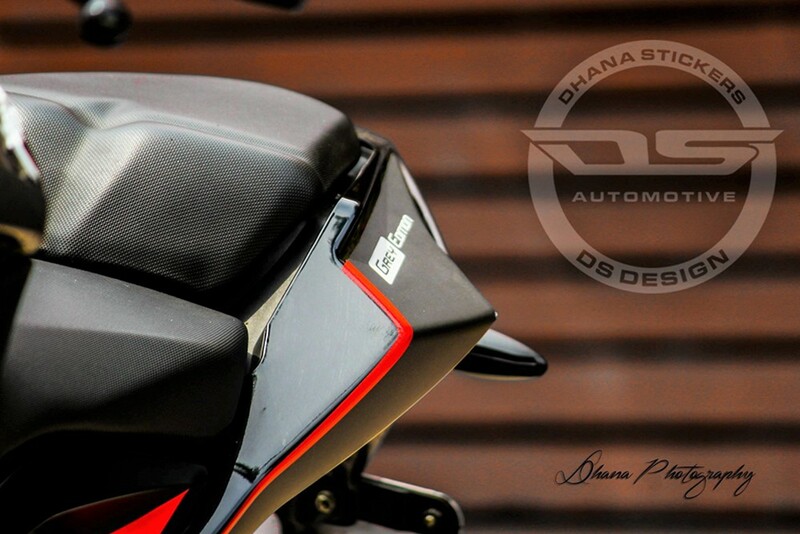 This typical RS200 by Dhana Stickers looks even more classy than the stock motorcycle, highlighting the unique body line of RS200 through Red inserts at selected places. 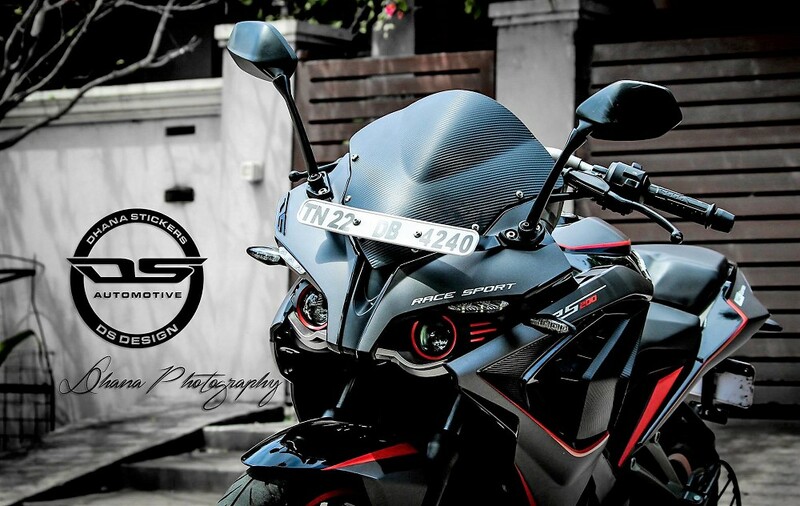 The motorcycle gets custom placed Race Sport and RS200 monikers on its front fascia while Grey Edition is placed on the rear panel. 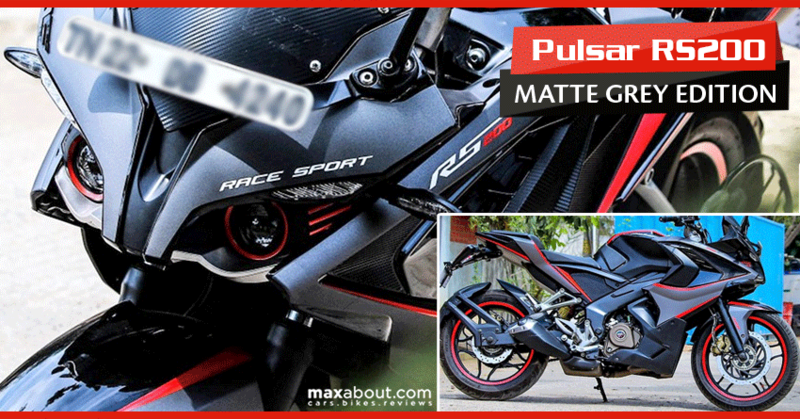 The Black RS200 comes with Matt Grey inserts on the front fascia, side fairing, fender sides and under seat panels. Red inserts are placed all over the motorcycle, covering the fuel tank, Grey sections, tyre pinstripes and front projector outlines. The windscreen gets faux carbon fiber finish while the same can even be spotted on its exhaust can. The model is ABS equipped and gets the ABS moniker highlighted through Red letters. Apart from these cosmetic changes, no performance upgrade has been given to the RS200. 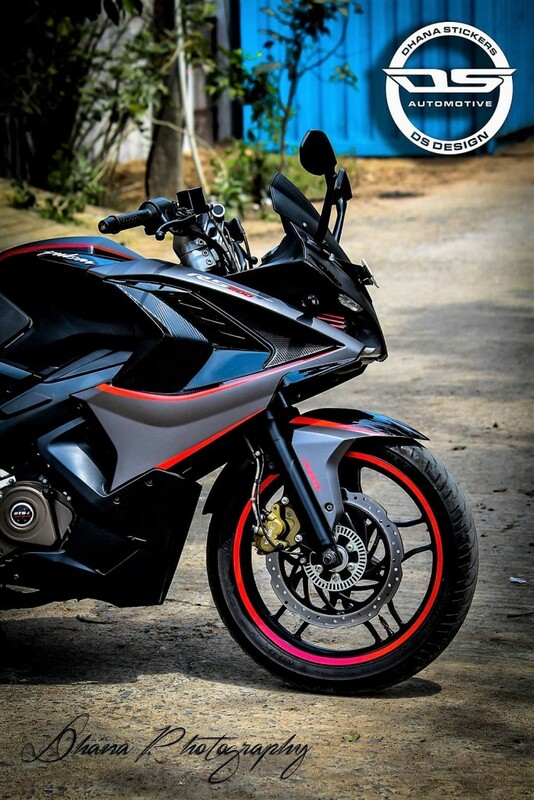 Bajaj Pulsar RS200 is powered by a 199.5 cc, liquid cooled and fuel injected engine producing 24.2 BHP and 18.6 Nm of torque. 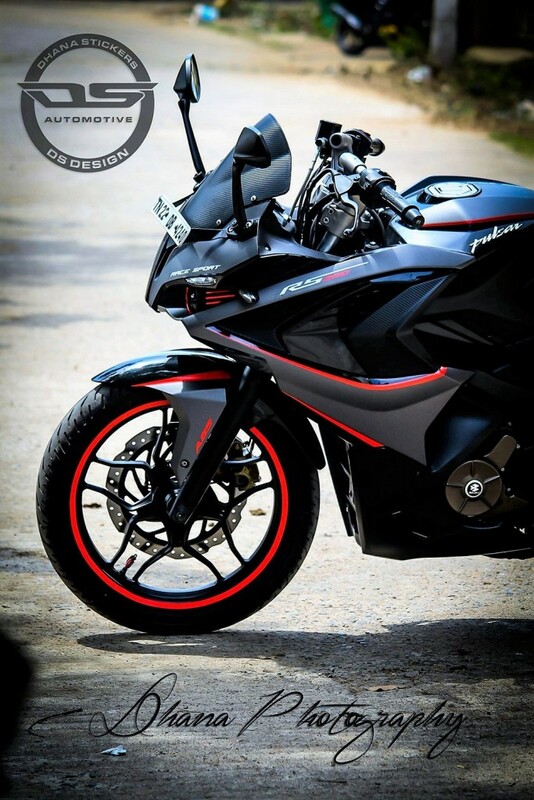 The engine comes mated to a 6-speed gearbox and claims a top speed of 140.8 kmph. The motorcycle currently retails for INR 1.27 lakh for the non-ABS version and comes with a wet weight of 165 kg. Stock shades include Graphite Black, Racing Red and Racing Blue. The 13 liter fuel tank on the motorcycle makes it good for 400+ km in a single refill. 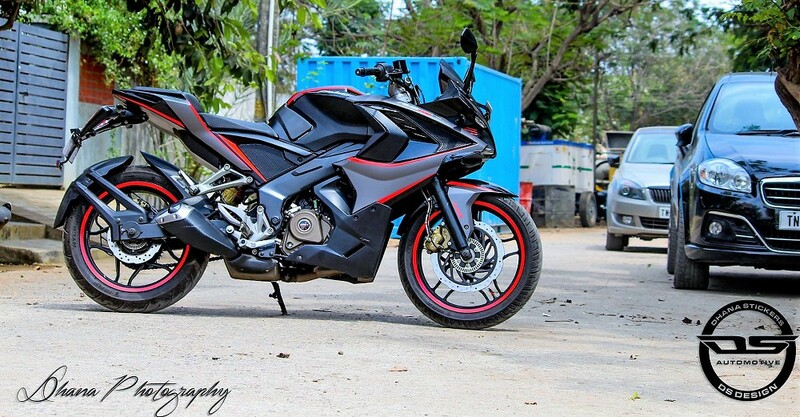 It competes currently against Yamaha FZ25 in its price segment.